“Fantastic Beasts: The Crimes of Grindelwald,” the second movie of the five-part series Fantastic Beasts, released in theaters Nov. 16, 2018. The series takes place in 1927, 70 years before the first Harry Potter film, “Harry Potter and the Sorcerer’s Stone.” Rotten Tomatoes gave the movie a cruel 39% rating, which was definitely deceitful. Film ratings didn’t reflect so well on the movie, but 87% of Google users liked the movie–a more believable and accurate statistic. Eddie Redmayne makes an appearance in the movie as the main character Newt Scamander, once again, and is dealing with the British Ministry of Magic on his previous illegal trip to the United States which took place in “Fantastic Beasts and Where To Find Them.” Johnny Depp returns as Gellert Grindelwald and escapes the United States Magical Congress’s hold on him during a transfer from New York to London. A very crucial character in the story is Credence, played by Ezra Miller, because rumor has it that he is the last of a pure bloodline of wizards. This gives him a power he doesn’t even know he holds which makes him so significant. Credence is the only one who can kill Grindelwald’s equal and enemy, Albus Dumbledore, who is played by Jude Law. Dumbledore immediately meets up with his former student Newt to give him a large favor that he knows Newt will complete and not turn down. He asks him to find Credence in Paris, France. The movie takes off from there, and many deep, dark secrets unfold. New characters are introduced with familiar last names to the Harry Potter films. Credence doesn’t know his lineage whatsoever and is desperate to find someone who can give him answers. Eventually, Grindelwald gets a hold of Credence before Newt does and Grindelwald reveals Credence’s identity to be Aurelius Dumbledore. This moment was literally the biggest cliffhanger of 2018 by far. Harry Potter fans were stunned, staring blankly at the screen as the lights in the theater begin to turn on. This could mean so many things: is Grindelwald lying? Are Credence and Albus Dumbledore related or possibly brothers? Everyone is searching for answers. Many more important stories and secrets are revealed which is why movie ratings were so low. Many people thought there was too much going on, and it got confusing at times. Personally, I feel that the movie was incredible–much better than the first movie. 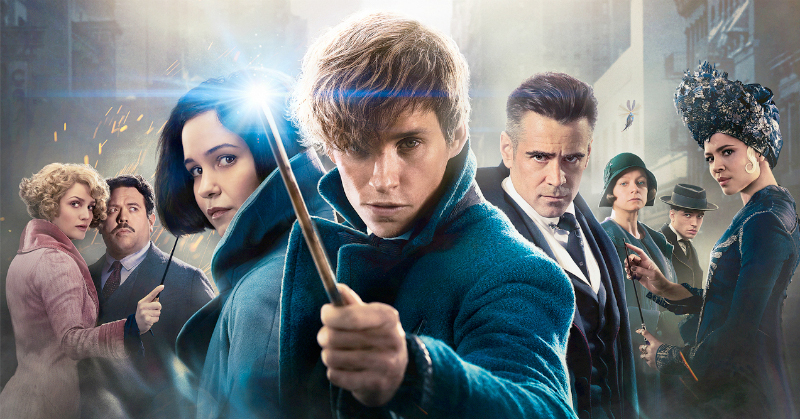 I’m getting more of a Harry Potter vibe since everything is leading up to the original series, and I’m anticipating that at the end of the Fantastic Beasts films, many connections will be made. The acting was pretty solid. I enjoy the mix of newer/more unknown actors with the very famous ones like Johnny Depp. Unfamiliar faces make the movie more realistic. The CGI was also amazing. I feel that the Harry Potter and Fantastic Beast films just never fail on that part. It’s very easy to make it look bad because making magic look realistic is obviously difficult, but I give a lot of credit to the designers who make all of that happen in the film. The story line was also great, and it’s made even better due to the fact that J.K. Rowling still holds the creative reigns. Usually, a continued series has a different author who extends the story line, but having the same one from the original Harry Potter series means the universe and voice don’t drastically change, which benefits the film. Overall, I was very satisfied with the film. I will be re-watching it multiple times until the next release in the series which should be coming out Nov. 20, 2020. It’ll take a while, but I’m ecstatic to continue the story and have all the cliffhangers revealed. Until then, I’ll think of every possibility there is of what can happen in the upcoming film.